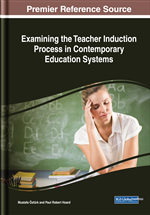 This chapter reports on the analysis of the narratives of two non-education-degree teachers to highlight the process of their teacher identity development. The analysis showed that their teacher identities were initially developed during their childhood, but then overshadowed by aspirations to have other professional identities; therefore, they did not enroll in teacher education programs. Upon graduation, they entered the teaching profession either accidentally or deliberately. Their teacher identities were shaped via active participation in teaching and professional development activities, and their ability to negotiate between their teaching competence and the practice required in the school. After their teacher identities were established, often by receiving a teaching qualification, they continued to develop their teacher identities by imagining and negotiating their teaching practices with their future selves. Generally, their teacher identity development involved a complex interaction of personal and contextual factors as well as much effort and resilience. The teaching staff in every school have become more diverse in our contemporary society. Traditionally, teachers must undertake training at a teacher education college and periods of supervised teaching practice, and pass all required exams to be eligible to teach as registered teachers. In this case, teacher identity appears to develop throughout the time teachers spend at the teacher education college and on the teaching practice, and continues to thrive when they start to work as registered teachers. More and more individuals have entered the teaching profession without following that conventional route, however (Heineke, Mazza, & Tichnor-Wagner, 2014). Experts in a certain field can be recruited, provided with a short induction or training scheme, and then offered work as a teacher. In this case, their teacher identity appears to develop when they have entered a school context. This process can be more complex in the context where these teachers have much autonomy in deciding their teaching practices (Heineke et al., 2014), such as in universities. Little is known, however, about how the teacher identity of this non-conventional teacher group is developed within a community of teachers. In this chapter, the researchers will report on a study that investigated how individuals without a teaching qualification developed their teacher identity in the context of having much teaching autonomy, as well as what factors influenced the development of their teacher identity. Drawing from a pool of 20 interviews for the study, this chapter reports on the analysis the narratives of Ninh and Duong about their eight-year teacher identity development through the lens of Wenger’s (2010) theory of identity development in a community of practice. The analysis shows that teacher identity development is often interrupted, renewed, and influenced by other professional identities. The teachers had to exercise agency and resilience to overcome challenges they faced during that developmental process, especially at the beginning of their teaching career. This chapter contributes to the limited body of literature about how non-teaching-qualification teachers developed their teacher identity in the initial stage of their teaching career.